What Makes The Razer Phone 2 The Gaming Smartphone To Beat? There’s nothing quite like the Razer Phone 2 when it comes to distinguishing outside features and signature innards. You’ll instantly know that the phone is made by Razer due to the iconic black and green logo residing on the back of the device. 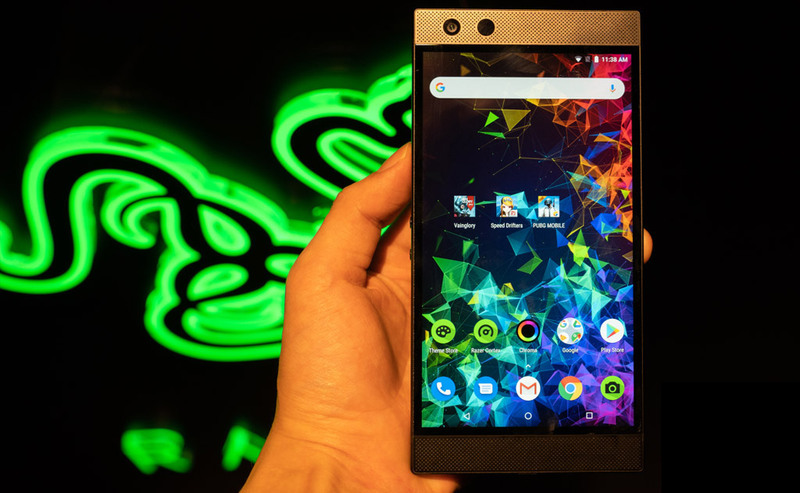 More than that, the newest iteration of the Razer phone comes with the Chroma, a one-of-a-kind notification, effects and guidance system that gamers are sure to love. A quick look at the Razer Phone 2’s specs reveal a beast that’s ready to devour any game you can throw at it. There’s the Qualcomm Snapdragon 845, a generous 8GB of memory and a built-in storage of 64GB. If that’s not enough, you can upgrade to 1 terabyte of extra space courtesy of the microSD port. It’s gamer-friendly in every step of the way, including the long-lasting 4,000 mAh battery and a powerful GPU to handle all those pixels, effects and whatnot. The widescreen 5.7 inch display uses LCD IGZO technology, touting an amazing resolution of 2560 by 1440 pixels. It’s one of the world’s first smartphone that uses a 120HZ refresh rate and supports HDR for a lag-free, enjoyable gaming experience. But that’s not all. The Cortex application allows for hardware usage customization like never before. Two robust speakers are set on either side of the phone, pointed upward rather than forward to your fingers won’t block it. Razer technicians have considered everything from a gamer’s point of view, and thus created the ultimate gaming phone. The phone’s VCC, or Vapor Cooling System keeps things nice and cool even during extended gaming sessions. It dissipates heat generated by the graphics chip, the processor and battery out and away from the phone for optimal performance. With the Razer Phone 2, you won’t have to experience game and graphical lag ever again.